I am thrilled to announce today's giveaway by Cutting Edge Stencils. They have graciously offered one of My Owl Barn's readers a chance to win a wall stencil of their choice up to a $50 value. They have a wide variety of stencils for any room in your house. The stencils are fast and easy to use. If you are a first time user then don't be afraid because there are how-to-videos and tips to help you get the best results. I was glad to find this "Wise Owl" (shown above) stencil which is perfect to decorate a nursery or even your own bedroom! - Visit Cutting Edge Stencils website and pick out your favorite stencil. Come back and leave a separate comment telling me which one do you like. - You must be a follower of My Owl Barn (click here to follow My Owl Barn). Leave a comment letting me know that you are a follower. I'll announce the winner sometime on June 5th! Update: Our winner is Nette. Congratulations! Thank you all for participating. I love the vintage paisley stencils! I like Zinnia Grande Flower and Vintage Paisley Stencils! I'm your follower via Google Reader:) thanks for chance! Casablanca Allover Stencil. I am already a follower. Thanks! Good Morning Monday! 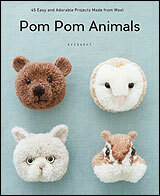 I would love the Garden Anenome, Wise Owl, and Chrysanthemum. Love them! I Follow some Pins of CES on Pinterest. I Follow CES on Facebook. The stencils are all so beautiful. I really like the dandelion one. They would look so pretty on my wall. Im a follower of you blog. I love the wall art stencils. 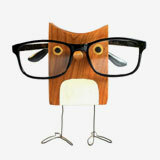 They are so versatile and could be used anywhere in the room space. I've been a long time follower of My Owl Barn. Love the ideas, always. There are so many cool ones! I love the Paisley and the Romance Wall Pattern Kit too! Of course, I love the "Wise Owl" stencil! It would look wonderful in a baby's room, which is what I would use it for! Thanks for posting! I am a follower of My Owl Barn & I'm loving the Marrakech Trellis Allover Stencil. I can think of so many places I could use ths stencil in my home!! I really like the a RACHEL'S BROCADE STENCIL I think due to the use of negative space. very cool! I love the wise owl stencil the most!!!!! And I'm now officially a follower :-). I love the Wise Owl Stencil! And I'm a follower! :) Great giveaway. the wise owl stencil is my fave! I love the Sakura and Birds Stencil. I also liked the Fossil stencils. Thanks! I liked Cutting Edge Stencils on FB. Thanks. 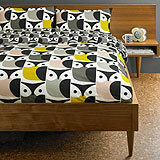 The owl is ms favourite, of course ! I am following Cutting Edge Stencils on Pinterest. thanks. I follow your blog by email. Thank you! I love the spring songbird stencil. Hope I win. I love the spring songbird tree stencil. Hope I win! I love the WISE OWL stencil!! I did all available options for entries. 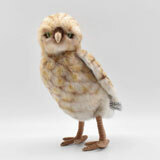 Love the Wise Owl- perfect for my twins baby room- they will be delivered around Thanksgiving! i would love the indian paisley stencil! and i like them on fb! thanks for the chance! Already follow My Owl Barn. And oh my, how do you choose! I love the owl one of course and also really liked the Weeping Cherry Blossoms. And oh my, how do I choose. I of course love the owl one, but also loved the Weeping Cherry Blossom. There are so many fabulous designs to choose from but my favorite is Casablanca! 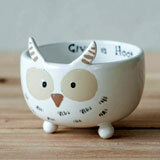 I loooove the Wise Owl pattern you have featured on your blog! It would look absolutely adorable on my classroom wall! I love love love their butterfly and polka dot stencils for my upcoming nursery. Thank you for hosting this giveaway. I already like CES on facebook. I also follow CES on pinterest. I am a blog follower. Love the printables on this site. I like the wise owl stencil...perfect for my little baby's nursery. Keep up the great blog. I am following Cutting Edge Stencils on Pinterest as salviunum. I'm a follower! Thank you for considering me for this giveaway. I appreciate the opportunity and I love your blog. Sorry if that last one posted a few times. I didn't realize it had gone through. Anyway, here's my follow up post with my favorite. It's hard to choose between the obvious choice of the "Wise Owl Stencil" and the "Spring Songbirds Wall Stencil". Wow they are all gorgeous. I love the sakura, but my absolute favourite is ofcourse Wise Owl Stencil. Why? Because I am crazy about owls! They all are so amazing I narrowed it down to 2 wise owl and birds on a branch. Love your blog. Always look forward to it arriving. Love these stencils too. mermaid allover is my fave! Love these! So hard to choose...probably the Casablanca allover stencil. It'd be perfect for my bedroom! following you now! fun site! following CES via twitter too! Nadya Damask Stencil is my fav, I have a spot all picked out for it. I love the Shipibo stencil! I have liked Cutting Edge Stencils on FB. I'm a new follower of owl. Love the Casablanca and songbirds!!!! Oh Wow! I just love the casablanca stencil-would love to use this in my laundry room! so many to love. i think I would choose Spring Songbirds Wall Stencil to use in my bedroom. I love the MOROCCAN DREAM ALLOVER STENCIL! I follow CES on FB! I follow CES on pinterest! I like Cutting Edge Stencils on FB! I also follow CES on Pinterest! I love the paisley all over stencil!!! and I'm a follower! I liked cutting edges stencils on fb! 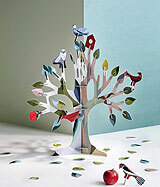 I like the large fruit tree with birds one! And I'm a follower of my owl barn! I'm following cutting edge stencils on Fb! I think that the Polka Dot stencil would be fun! I love the wise owl stencil (of course). I've been following you for al while now. I love the Zagora stencil! I follow CES on Pinterest. I LOVE the Spring Songbirds Wall Stencil. Wow, what a hard choice! I love all of the ones with branches and flowers, especially the alliums. Also did facebook, pintrest, and twitter. Thank you again for considering me. Good luck, everyone! 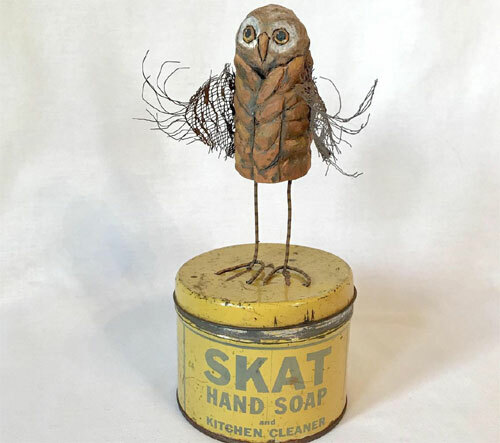 I am a follower and LOVE 'My Owl Barn'. Thank you for sharing 'Cutting Edge Stencils' their stencils are amazing, hard to pick just one fave. The Rachel's Brocade Stencil is beautiful! I'm following My Owl Barn! Love this site. Great ideas. I follow CES on facebook! The owl one is adorable, but I'm loving the paisley all over stencil! How to pick just one!? But, if I have to then I will say the Spring Songbirds Wall Stencil. Phew that was hard! For me, it's the Zamira all-over stencil. Love it!! I follow My Owl Barn!! Would LOVE the Casablanca All Over Stencil!!!! Following CES on Twitter- shannau. FB fan of Cutting Edge Stencils! Following this blog as shannau. love the casablanca allover stencil, am a current follower!!! 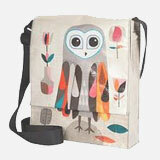 I adore the Wise Owl Stencil and a lot of the others are very pretty too! But I must say that my favorite is the Chrysanthemum Twist Stencil. It will be perfect for the nursery, if the baby turns out to be a girl that is! Otherwise, I'll use it in my home office! Your owl stencil came out beautifully and with such character! FUN! My favorite stencil from Cutting Edge is the AllOver Paisley stencil. I have a table I want to do with this stencil! Thanks for the oprotunity to win one! Wheeeeeeeeee! I am already following on facebook too. I like the spring songbird stencil. I love this stencil " Birds on a Branch Wall" Stencil among many others! I have been a follower of your blog, pinterest and facebook for a long time now! PS: I also have your link via sidebar box on my " ByLightOfMoon blog! I am also following Cutting Edge Stencils on Facebook, Pinterest, and twitter! Love all their products! I'm rather fond of the Flying Birds, Garden Birds and Falling Leaves stencils.